More than those of any other living photographer, Sebastiao Salgado's images of the world's poor stand in tribute to the human condition. His transforming photographs bestow dignity on the most isolated and neglected, from famine-stricken refugees in the Sahel to the indigenous peoples of South America. "Workers" is a global epic that transcends mere imagery to become an affirmation of the enduring spirit of working women and men. The book is an archaeological exploration of the activities that have defined labor from the Stone Age through the Industrial Age, to the present. Divided into six categories--"Agriculture," "Food," "Mining," "Industry," "Oil" and "Construction"--the book unearths layers of visual information to reveal the ceaseless human activity at the core of modern civilization. Extended captions provide a historical and factual framework for the images. "Salgado unveils the pain, the beauty, and the brutality of the world of work on which everything rests," wrote Arthur Miller of this photobook classic, upon its original publication in 1993. "This is a collection of deep devotion and impressive skill." An elegy for the passing of traditional methods of labor and production, "Workers" delivers a message of endurance and hope. "Sebastiao Salgado has produced an elaborate, deluxe paean to laborers throughout the world, from tea harvesters in Rwanda to oil-well firefighters and well-cappers in Kuwait...He brings to the composition of photojournalism skills akin to those of the painter Caravaggio. 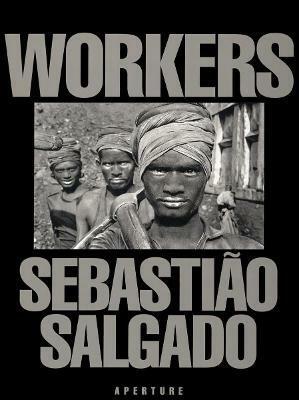 "Workers "offers additional evidence of this mannerist style, which has its photographic roots in the legacy of W. Eugene Smith...There is no denying that Mr. Salgado's photographs command attention." --Andy Grundberg, "The New York Times Book Review"